Sales of free-range eggs are booming. But can you trust the claims? Consumer demand for free-range eggs saw supermarket sales jump 16% in 2016. Revenue topped $80 million, up from $68 million in 2015. But while sales are booming, our latest survey found shoppers aren’t confident the eggs they’re buying are all they’re cracked up to be. Shoppers opting for free range pay a premium. A dozen free-range eggs cost more than twice the price of eggs from hens kept in cages. While many shoppers are prepared to pay extra for eggs from hens raised the old-fashioned way, just 1 in 5 feel sure they’re always getting what they pay for. Rising demand has led to a flurry of free-range brands vying for consumers’ cash. About 30 brands touting free-range claims can be found on supermarket shelves, double the number in 2010. However, there’s no standard definition of what free range means. Shoppers have to rely largely on the carton claims when they’re choosing which eggs to buy. 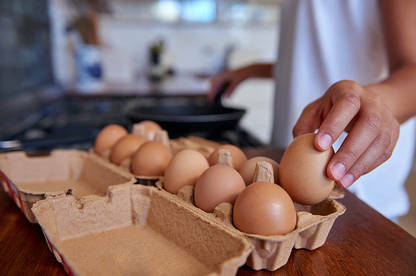 Shoppers have to rely largely on the carton claims when they’re choosing which eggs to buy. Regular purchasers think “free range” should mean the hens spend most of the day roaming outside. Most consider a reasonable flock size to be 500 to 1500 birds. But many free-range egg brands are unlikely to meet these expectations. The only requirements free-range farmers must meet are set out in the code of welfare for layer hens, developed under the Animal Welfare Act. The code states hens should have access to an outdoor range area. It sets a stocking density of 2500 birds per hectare – that’s about one chook on a king-sized bed. The code doesn’t set a maximum flock size – and numbers can vary from a few hundred to several thousand birds. Whether the birds venture outside depends on the numbers in the barn and their access to the range area. Woodland, owned by Mainland Poultry and the largest free-range brand in supermarkets, permits 7500 to 8000 birds in a barn. Mainland has also bought eggs from other farmers, including Palace Poultry, to sell under its Woodland and Farmer Brown brands. 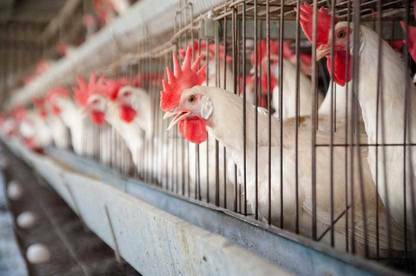 In March, allegations emerged Palace Poultry had sold cage eggs as free range. Palace Poultry eggs have since disappeared from shop shelves but the Serious Fraud Office is investigating the allegations. The Palace Poultry saga hit the headlines just 3 years after Northland egg farmer John Garnett was convicted for falsely labelling cage eggs as free range and barn laid. Garnett sold close to 2.5 million fake free-range eggs, at an estimated value of $1 million, before he was found out. The case tarnished the industry and highlighted the lack of market monitoring. The Ministry for Primary Industries (MPI) inspects egg farms annually to check they’re meeting food safety standards. But these inspections don’t extend to checking packaging claims, even though the Food Act, which MPI enforces, makes it an offence for food labels to mislead consumers. 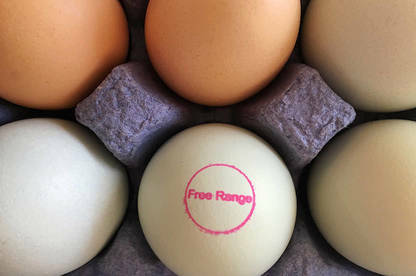 The upshot is that unless farmers opt for independent certification, there’s no guarantee anyone’s checking whether your eggs come from hens genuinely free to range. Michael Brooks, executive director of the Egg Producers Federation, thinks stamping free-range eggs at source could be the solution. He says the federation is still looking at costs and details of how it will work. Options include stamping eggs with a farm identification number and a code to indicate they’re from a free-range flock. But the idea will need farmers’ buy-in. Recommendations have yet to be put to the federation’s members, he says. Egg stamps have been introduced in the EU and Australia to improve traceability. Since 2012, Australia has required eggs to carry a stamp with a farm identification number. However, stamping isn’t foolproof. Without independent auditing, the system can be exploited and fake free-range eggs may still turn up on the market. Mr Brooks says the industry is looking at farm audits to minimise the risk of another Garnett case. Audits would check the farm’s free-range egg output corresponded with the number of hens on the property. But who would undertake the audits and whether results would be made public is not clear. Consumers bear the costs when they pay extra for eggs that aren’t true to label or that don’t meet their expectations for what free range should mean. Better labelling rules are needed to ensure shoppers can make an informed choice about what they’re buying. We’re calling for a mandatory consumer information standard for free-range claims. The Fair Trading Act provides for these standards to be developed to specify information manufacturers have to disclose to consumers. Failure to comply with the standards is an offence. Do you support our call? Take our poll. GUIDE TO GRAPHS OUR DATA are from a nationally representative survey of 1395 New Zealanders, aged 18 years or older, carried out online in May 2017. Figures may add to +/- 100% due to rounding. The margin of error is +/- 3%. GUIDE TO TABLE EGG BRANDS are major brands found in supermarkets in June 2017. Some brands may be not be available in all centres. Acompany states organic production is certified by Mike Turner of Independent QA Services. Bcompany states farms are audited by AsureQuality. Ccompany states farms are audited by David Brown of Waipipi Organics. Dcompany states organic production is certified by veterinary services firm Avivet. The main certification marks you’ll find on free-range eggs are the SPCA’s Blue Tick and organic ticks from AsureQuality or BioGro. Blue Tick: The SPCA’s Blue Tick is available for both free-range and barn-laid eggs. The Blue Tick standard mirrors many provisions in the animal welfare code for layer hens. But it sets a maximum flock size (5000 birds) and a lower outdoor stocking density of 2000 birds per hectare. Organic standards: AsureQuality and BioGro, organic certification bodies, have more demanding standards. As well as requiring compliance with organic production methods, AsureQuality sets a limit of 1500 birds per barn; BioGro sets an outdoor stocking density of 833 hens per hectare. In comparison, the welfare code limit is 2500 hens per hectare. A certification logo on the pack shows the farm has been independently audited. What you won’t necessarily know is if any problems were found during the audit as no scheme publishes audit reports. Several other free-range brands state their egg farms are audited by AsureQuality to check compliance with the animal welfare code. Freedom Farms uses AsureQuality to audit compliance against the company’s own standard, which caps flock numbers at 5000 birds. FRENZ also has its own standard, setting a limit of 2000 birds per barn. Between April 2010 and November 2011, Northland egg farmer John Garnett sold cage eggs as free-range or barn laid. Retailers who stocked the eggs included several large supermarkets in Auckland and Northland. The Commerce Commission estimates Garnett’s company made $376,000 from the scam. Garnett was sentenced in August this year to 12 months' home detention and 200 hours' community service after pleading guilty to 20 charges brought by the commission under the Crimes Act. Garnett’s company was placed into receivership in 2012 after the fraud was discovered. The commission has previously prosecuted other farmers for misleading free-range claims. In 2002, the owner and operator of Masterton Poultry Farm was fined $10,000 after pleading guilty to selling barn eggs as free-range. A year earlier, Christchurch-based Weedons Poultry Farm was fined $35,000 for selling cage eggs as free-range over a 12-month period. Most eggs on supermarket shelves still come from hens in battery cages. The cages are being phased out but they won’t disappear altogether until 31 December 2022. Farmers can switch to so-called colony cages, which are larger than battery cages and house 40 to 60 hens. They’re also required to provide perching, nesting and scratching areas. The National Animal Welfare Advisory Committee, which developed the rules, describes colony cages as an “attempt to balance the hens’ requirements to express their behavioural needs … [against the egg farmer’s] ability to maintain close control of the environment”. However, colony cages have failed to win the backing of animal rights groups SAFE and the SPCA. The groups continue to campaign for a ban on all cage farming. Battery cage No No 1 hen per 550cm2. Colony cage Yes No 1 hen per 750cm2 (or 13 hens per m2). Barn Yes No 7 hens per m2. Free range Yes Yes 9 hens per m2 inside; 1 hen per 4m2 outside. At the supermarket you can pay between $4 and ? (a whole lot more) for 6 eggs all saying they are free range. 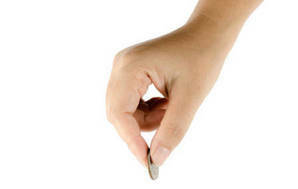 How can we tell why we should be paying at the higher end? I'm interested to know Consumer's position on the recent trend to sell eggs in boxes of 10 rather than the traditional dozen. As there are still half-dozen boxes available, it seems like a deliberate attempt to confuse the purchaser. 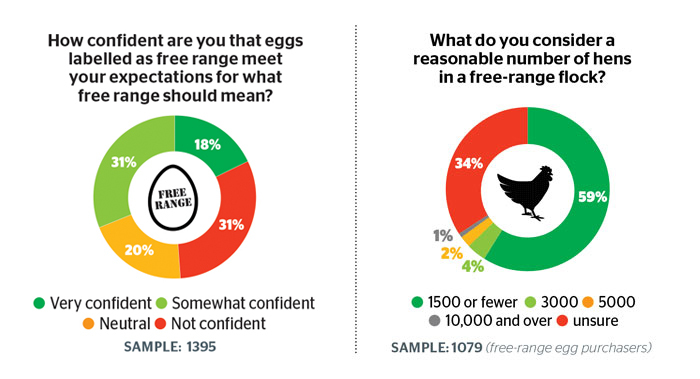 Good to know the free range egg market is full of cons but how do consumers know which is truly free range and which is not? Hi, What about Palace Poultry available at Countdown?